Today in Masonic History Charles Oscar Andrews is born in 1877. Charles Oscar Andrews was an American politician. Andrews was born on March 7th, 1877 in Ponce De Leon, Florida. He attended public school in and around Ponce De Leon. He also attended the South Florida Military Academy in Bartow, Florida. He graduated from the Florida State Normal School in 1901. He would go on to Graduate from the University of Florida at Gainesville in 1907 with a law degree. In 1898, Andrews served during the Spanish-American War in the Florida National Guard. He would continue on with the National Guard after the war and in 1903 would be promoted to the rank of Captain. In 1905, Andrews became the secretary of the Florida State Senate. He would serve two terms. The first term was from 1905 to 1907. The second term was from 1909 to 1911. In 1907, Andrews was admitted to the bar. He began practicing law in Defuniak Springs, Florida. In 1910 and 1911 he was judge of the criminal court of record in Walton County, Florida. From 1912 to 1919 he was the assistant attorney general of Florida. From 1919 to 1925 he was the circuit judge of the seventeenth judicial court. From 1925 to 1928 he was the general counsel of the Florida Real Estate Commission. From 1926 to 1929 he was the attorney for Orlando, Florida. From 1929 to 1932 he was the State supreme court commissioner. In 1927, Andrews was elected to the Florida House of Representatives. 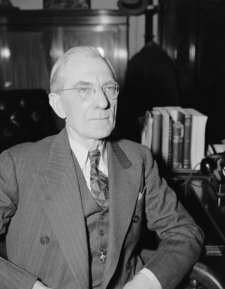 In 1936, Andrews was elected to replace Park Trammell who had passed away. Andrews was elected as a Democrat. He would be reelected in 1940 and would serve until the time of his passing. Andrews passed away on September 18th, 1946 in Washington, D.C.
Andrews was a member of Orlando Lodge No. 69 in Orlando, Florida.